Psychedelic visions, “crazy man” activities, risqué r-rated parables, and a final LOTR-scale epic battle, it’s strange to me that Ezekiel is overlooked. Isn’t everything listed above on the TV shows today that people watch? Not Christians, of course… and perhaps this is why Ezekiel is avoided! Or perhaps we simply need an able guide; and who better to explain this enigmatic book than Daniel Block who has studied it for more than twenty-five years and produced what is widely considered its greatest commentary? 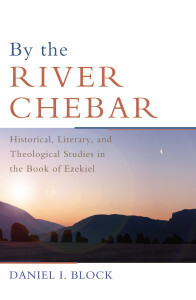 Admittedly, reading Block’s two-volume work is a little daunting even for nerds, so you may be glad to know that he has produced two smaller topical books on Ezekiel. 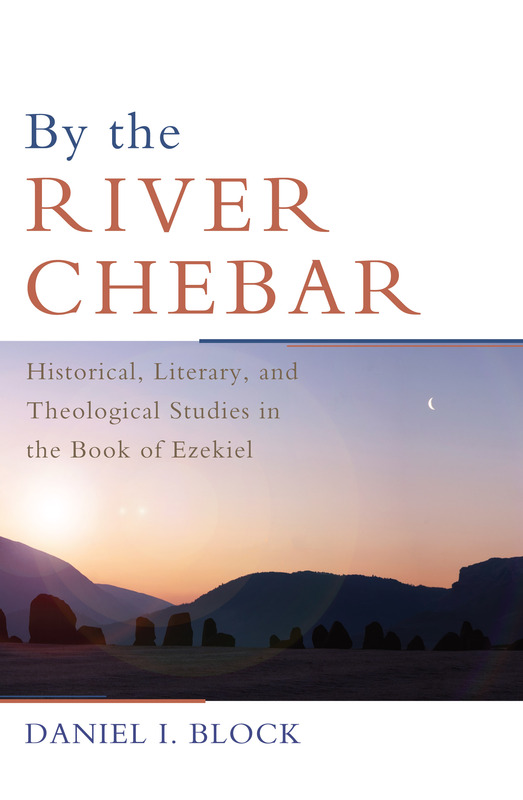 In this post I will review the first, entitled By the River Chebar: Historical, Literary, and Theological Studies in the Book of Ezekiel. I will also review the second title in due course. Ezekiel’s adaptation of the divine abandonment theme found in Ancient Near Eastern (ANE) texts. The history of Babylon seen through the eyes of their god Marduk. The use of רוּחַ (ruach = spirit/breath) in Ezekiel. Ezekiel’s view of death and the afterlife. As you can tell by the descriptions, some of these essays are more accessible than others. In fact, the chapters gradually become more rigorous, academic and specific as the book goes on. For example, the first three essays serve as excellent introductions to Ezekiel and would serve any reader, particularly pastors. All of the chapters address central issues in Ezekiel. For example, Ezekiel is controversial to some due to his representation of YHWH. Is YHWH ugly in Ezekiel? Block fairly responds to such criticisms. Also, Ezekiel is known as the prophet of the s/Spirit, but we must be careful not to impose anachronistic concepts if we want to understand him rightly. Each of these essays highlight Block’s scholarly competence with the text of Ezekiel. He clearly has mastered the book, so he is an ideal person to consult on these issues! I appreciated his intellectual care and honesty in each of these essays. At the same time, he is able to step back and offer proposals that are simple but compelling. As one example, Ezekiel 1:4-28 has many issues for the interpreter and student. At times it seems like Ezekiel has thrown out basic rules of Hebrew grammar and is so incredibly vague in his descriptions that scholars have speculated wildly on issues with transmission of the original text. After surveying these so-called solutions, Block takes a simple ad sympathetic approach: “[i]t is apparent that the vocabulary and forms of expression available to the prophet fall far short of the requirements of this vision, which transcends all of the bounds of normal human experience” (p213). Put simply, Ezekiel was lost for words. This may seem too easy of an answer, but sometimes the simplest solution is the best and Block argues well for it. Also on display, particularly in the first three essays, is a pastoral concern for the readers of Ezekiel. As an evangelical, Block not only has an academic interest but a concern that Ezekiel be understood and taught well to the church. Fittingly, Block’s chapter on preaching through Ezekiel is a standout chapter (see my friend Spencer’s post on this chapter) and well worth reading. However, the topical studies, and especially the two text studies, are considerably more specialist in language and topic. This is not to say that patient and interested non-academic readers will gain nothing, but that they are difficult reads. What’s more, some of the later chapters require both a familiarity with scholarly discussions and a basic understanding of Hebrew to get the most out of them. On the note of readership, there are two basic issues that hinder the book. Since most of these essays began as journal articles or dictionary entries, some residues remain. For example, the chapter The God Ezekiel Wants Us to Meet refers to a paper that was presented to “this society last year” (p47) and another that was given “last year” (p50). These are references to the context where Block first presented the content of this chapter: an address to SBL in 2012. Another example from a different chapter reads “as recently as 1985” (p198). Of course time frames are relative, but since that’s the year of my birth, I don’t consider it recent! However, if I were sitting in on Block’s first reading of this essay in 1991, his comment would have been less odd. The second issue seems to be editing mistakes. For example, the chapter entitled Preaching Ezekiel gives six propositions for preaching Ezekiel faithfully, however the subheading reads “four propositions for preaching from Ezekiel” (p2), so the last two are a nice surprise! This chapter also contains helpful images for visualising the book’s contents, but they appear mislabeled. On page 6 the reader is referred to “figure 2”, but the image with this label doesn’t match the description. Instead, the image labelled as figure 3 is clearly the intended image. Further down on page 6 is a reference to “figure 3”, but no image in the chapter matches its description, so it appears to have been forgotten. Also, the image actually labelled as figure 2 is never mentioned in the essay. If that was confusing to read, then it reflects how confused I was at this point! I will give one more example from pages 16-17. Proposition five has five numbered sub-points. Proposition six also has three numbered sub-points, but instead of re-starting at #1, these begin at #6. It appears that the word processor software continued the numbering from the previous section. This is clearly unintentional. All that to say, thorough editing could have both helped tailor the book to be read more naturally by a wider audience and also avoided these issues that make the book more confusing than it has to be. For someone studying or teaching through Ezekiel, most or all of these studies will no doubt prove beneficial. Taken individually, these chapters are also excellent foundations for grasping an unwieldy book. For those with a casual interest in Ezekiel, the first three chapters are highly recommended. For those completely uninterested, I am confident that if you start reading Ezekiel, you be inspired but also have a ton of questions. Then go pick up By the River Chebar and enter the weird and wild world of this prophet! This book was generously provided from Wipf & Stock for review, but that did not affect my opinions.